A spokesman for Libya's coast guard has responded to the criticism of a Spanish aid group and said guard members carry out rescues of Europe-bound migrants, "in accordance with international standards in saving lives at sea." The Spanish group, Proactiva Open Arms, a Spanish rescue group, accused the Libyan coast guard Tuesday of abandoning three people in the Mediterranean Sea, including a woman and a toddler who died. 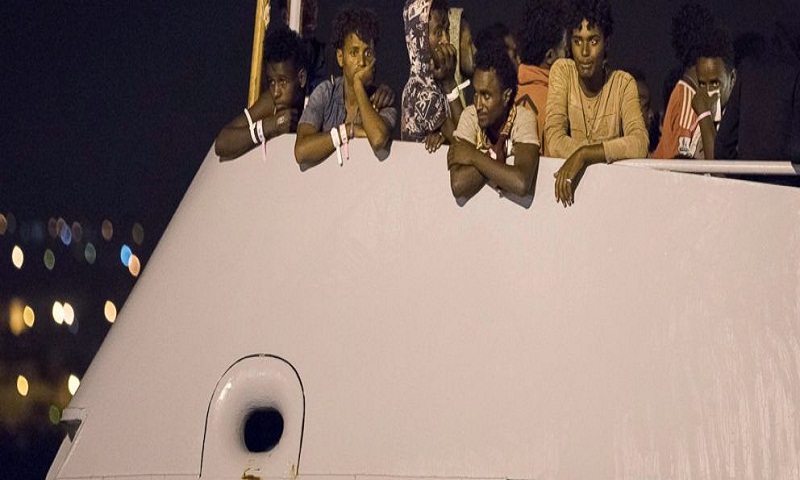 Coast guard spokesman Ayoub Gassim said in a statement: "All disasters happening in the sea are caused by human traffickers who are only interested in profit and the presence of such irresponsible, non-governmental groups in the region." Gassim said earlier Tuesday that the coast guard intercepted a Europe-bound boat with 160 passengers on Monday. The aid group says the three abandoned had refused to get on the coast guard boat. He says they were rescued on Tuesday and taken to a naval base in Tripoli, many with serious sunburns. Libya has emerged as a major transit point to Europe for people fleeing poverty and civil war elsewhere in Africa. Human traffickers have exploited Libya's chaos following the 2011 uprising that toppled and later killed longtime ruler Moammar Gaddafi. Libyan authorities have stepped up efforts to stem the flow of migrants, with the help of training and money from Europe.